Washbasin 60×42 cm. Matching cabinet ref. 002617. 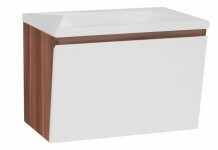 Washbasin 100×48 cm. Matching cabinet ref. 002618.